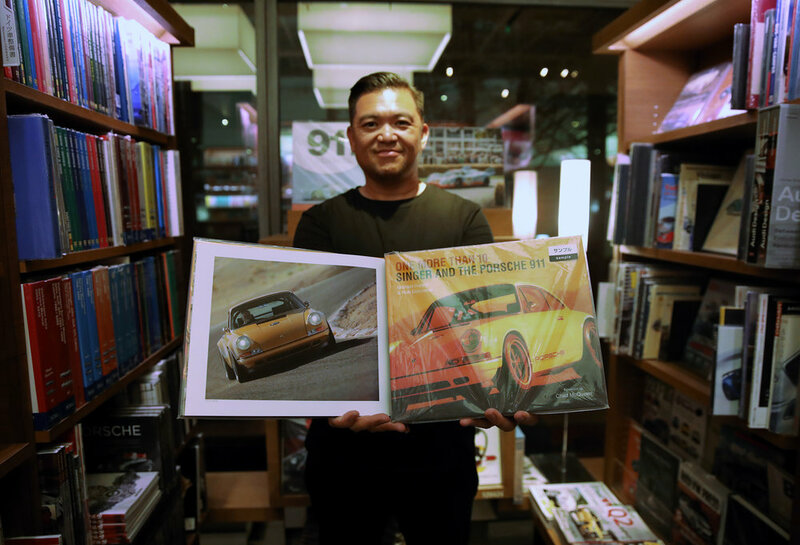 Me at Daikanyama Tsutaya in Tokyo Japan with the hardcover book I worked on, "One More Than 10" about Singer Vehicle Design and the Porsche 911. Success is something you attract by the person you become and the value you provide to others. I have a proven track record of success in digital marketing as a creative director with focused experience in building brands, creating engagement and growing social media accounts via content strategy and experiential marketing. Whether you want to tell the story of your brand, launch a marketing campaign, or create content to invigorate your presence online, I'd love to help. I create and curate content for companies large and small - including writing copy, editorial and product photography, and creating organic social media campaigns that create value for both the brand and the audience. Most of my network knows me as a commercial and editorial photographer, with a background in shooting automotive, travel, food, fashion, motion picture and lifestyle photography. Aside from being a published author, creative director, content producer/curator, designer, I’m also the creator of MotorMavens, a website and merchandise brand centered around Car Culture x Photography. I absolutely love cars, so I also host annual motorsports events in Southern California, and have hosted other community gatherings in many other cities worldwide via other brands I've created, like 86FEST, MotorMassive, V8BUILDS, Socal FoodFest, Driven Circle to name a few. The Enthusiast Network, Source Interlink Media, Cie Studios, Harris Publications, FHM International, Motorbooks International, Neko Publishing (Japan), Sanei Shobo Publishing (Japan), Option Press (Europe), ACP Publications (Australia), OverAmerica LLC, Los Angeles News Publishing, Rafu Shimpo Japanese Daily News, Houston Chronicle, and many more. When I'm not behind the lens or on the phone, I am usually searching for new food spots to try, working on improving my health and fitness, or listening to a personal development audiobook. Whether you want to work together to tell the story of your brand & product, design a campaign, or invigorate your brand's social media presence, I'd love to help. I work with businesses both small and large as a creative director, production designer, and consultant to curate content, style & photograph both editorial and product photo shoots, and assist with social media & digital marketing through the creation of organic campaigns that create value for both the brand and the audience. Let’s talk about your business goals and what kinds of obstacles you’re facing. I’d love to work with you to develop a game plan to overcome those obstacles and create a success story for your brand! Get in touch with me via email (via the contact form), Linkedin or Instagram. At Fuji Speedway in Japan, shooting with the crew from the legendary Hot Version Video Series! Video feature on me and some of my cars, by Petrolicious.